How do I add a new user to Client Portal? Update: Adding multiple users is shown below in the text; video update to come! 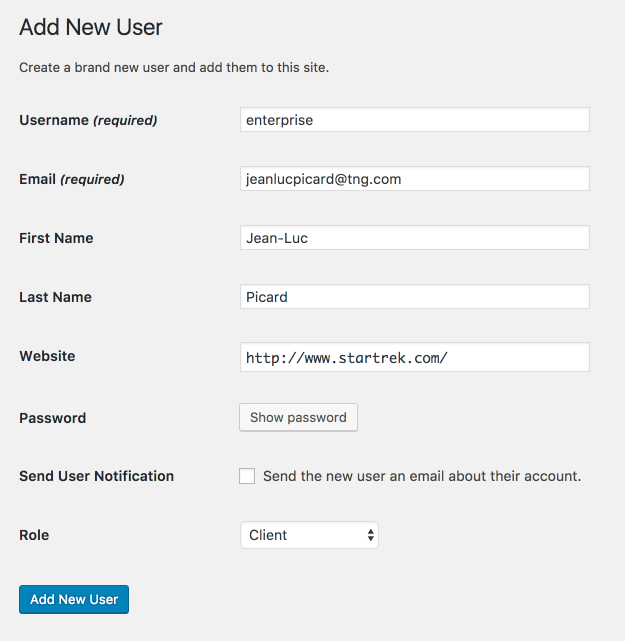 From your WordPress dashboard, navigate to Users -> Add New. 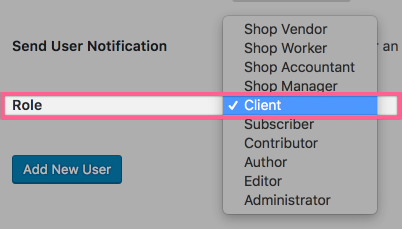 Quick tip: We recommend unchecking the box “Send User Notification” and sending your own email with information about the portal. In the role dropdown, make sure you select Client. This is Client Portal’s default role. From your WordPress dashboard, navigate to Projects -> All Projects. Select the portal you want to assign the new user to. In the Project Information tab, scroll down to find Client Accounts. Click in the field and a list of your users will appear. Click on the name of the user you want to add. To add another user, click in the field and the list will appear again. You can add unlimited users and they each will access the portal using their own unique login and password. To remove a user, click the “X”.